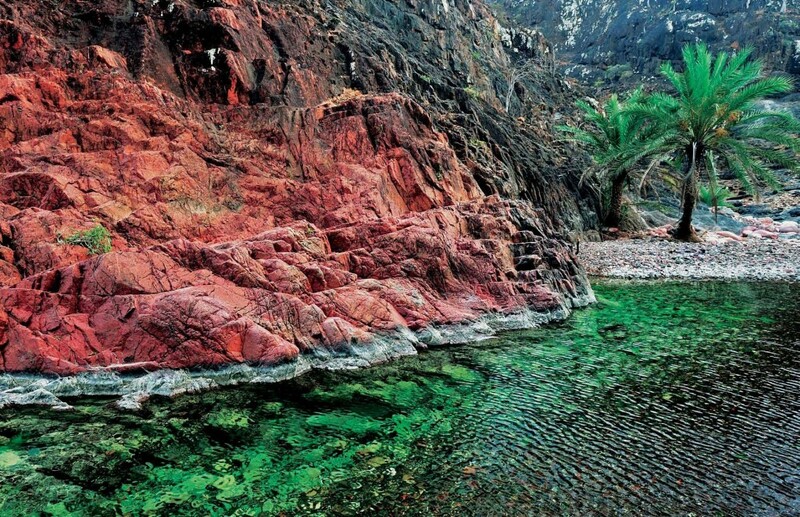 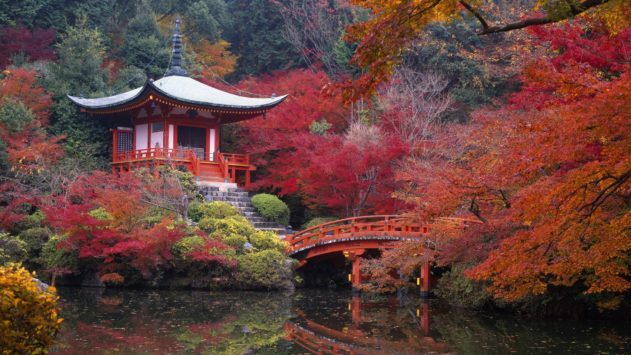 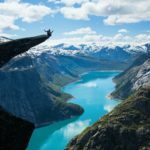 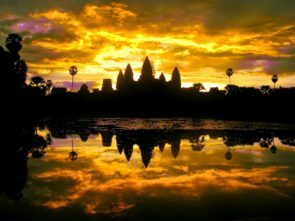 All those who follow us for some time know that The Golden Scope is fascinated by the Far East … from China to Laos, from Vietnam to Cambodia, from Indonesia to Malaysia, and then Philippines and Japan… their natural and historical beauty with their customs and traditions. 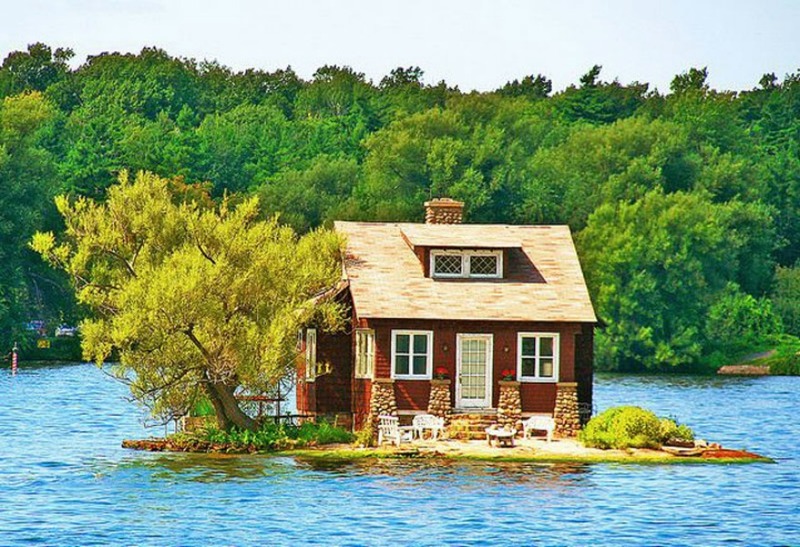 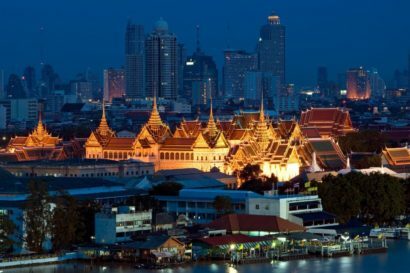 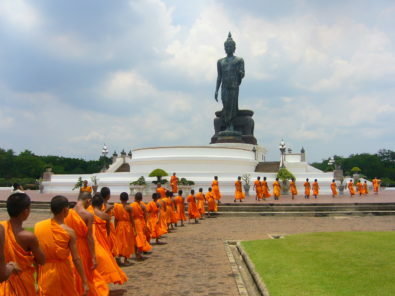 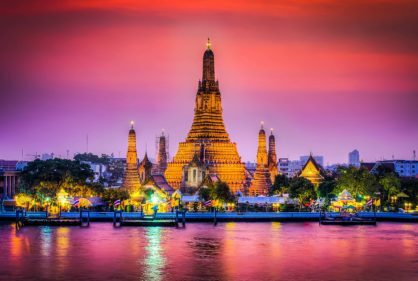 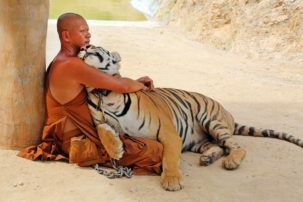 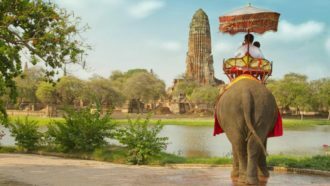 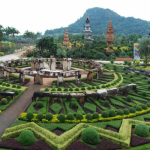 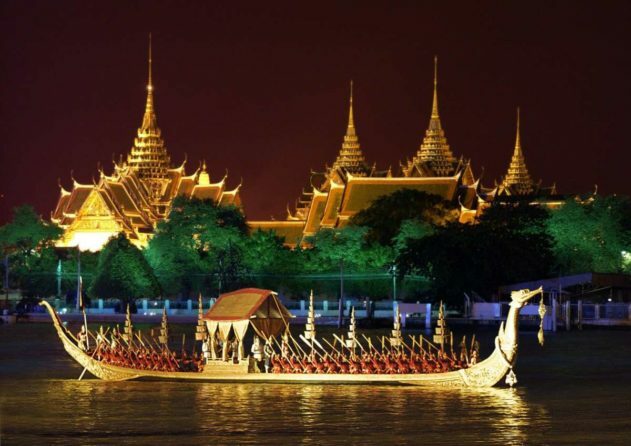 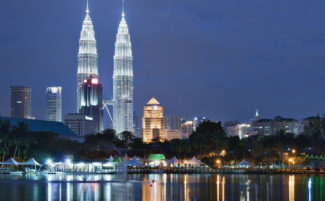 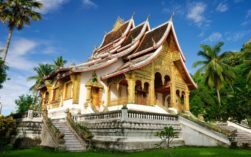 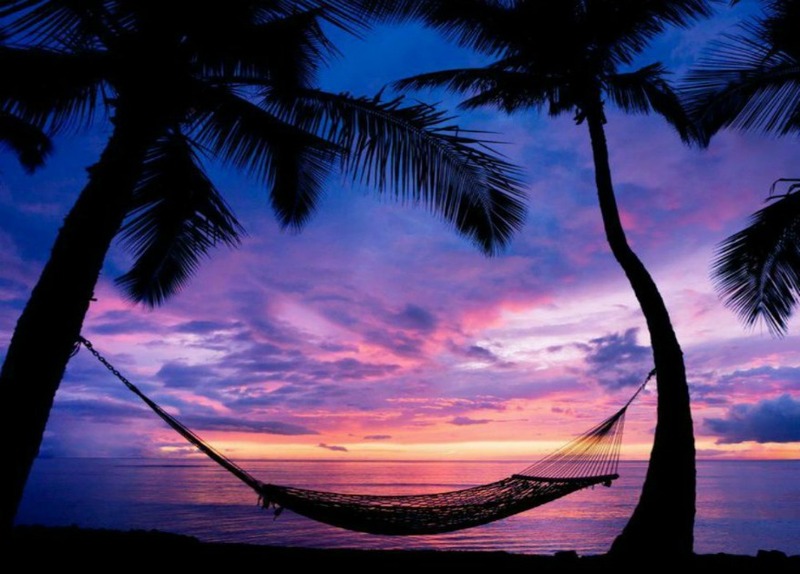 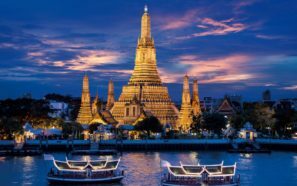 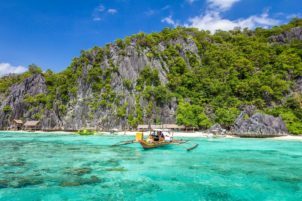 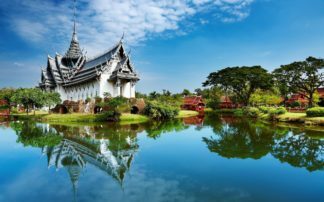 Today we will tell about Thailand, one of those countries that “must be visited” not only for its natural beauties such as Pukhet or historical beauties like the Grand Palace in Bangkok but also for its traditions that are rooted in a history millenary! 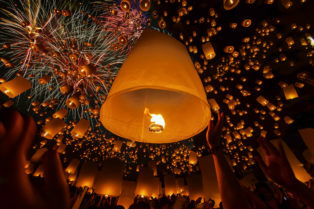 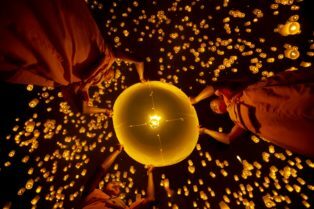 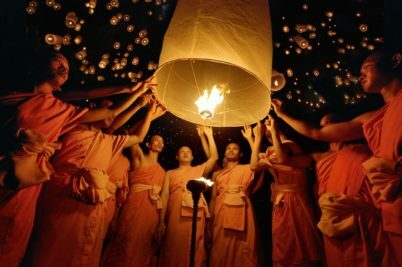 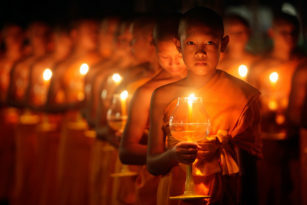 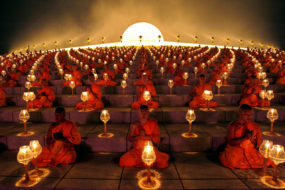 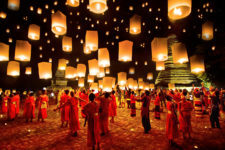 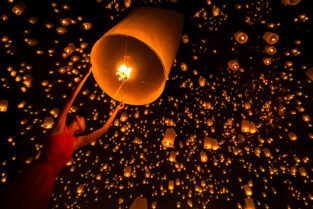 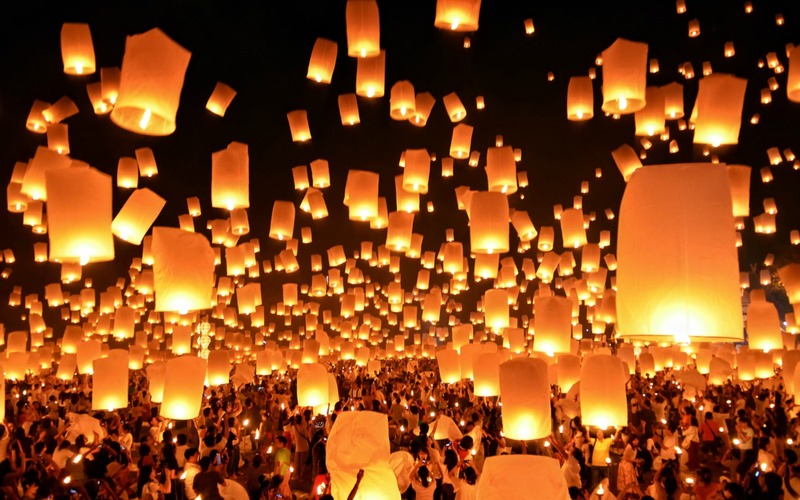 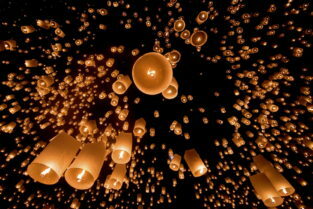 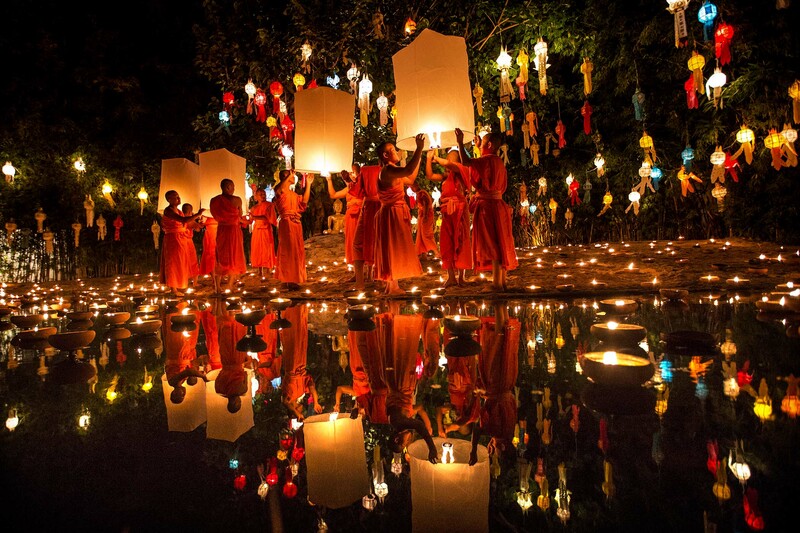 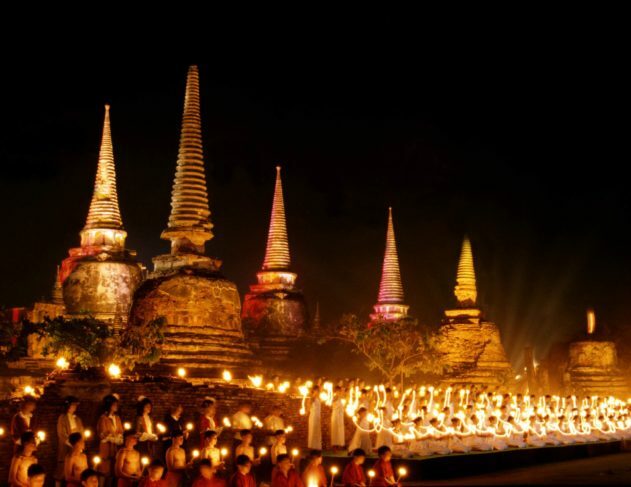 Speaking of traditions, the Lantern Festival is one of the most important Thai festival. 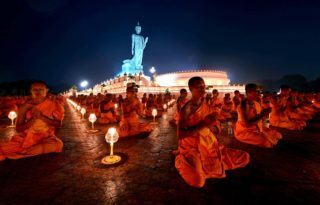 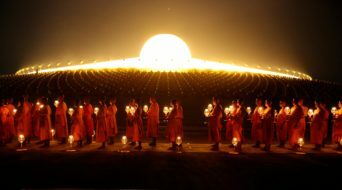 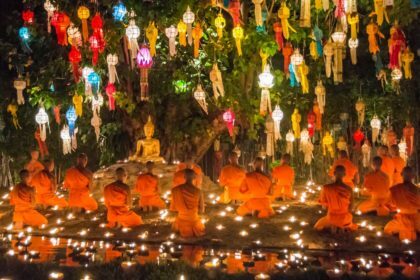 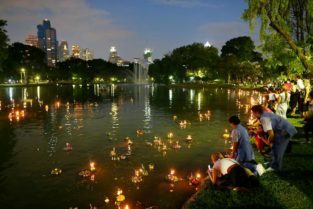 It happens annually for more than 800 years, during the full moon night of the twelfth month of the Thai calendar: in 2017 it will be from 2th to 4th November. 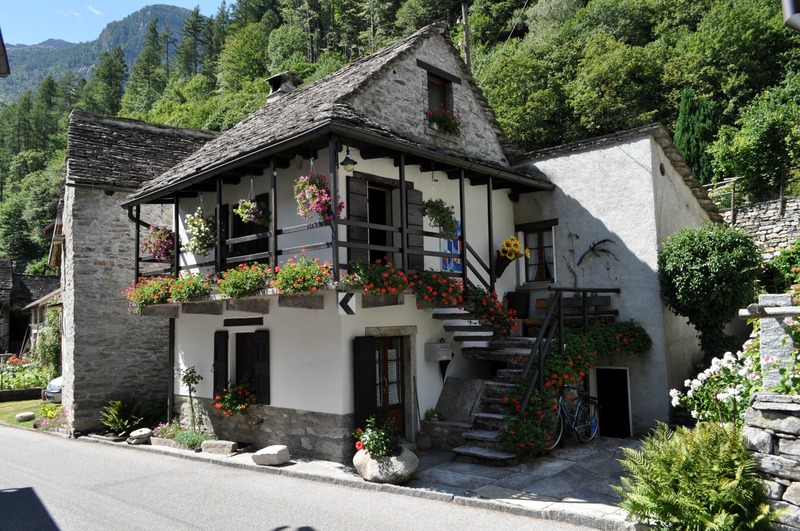 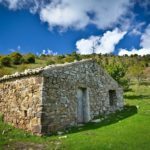 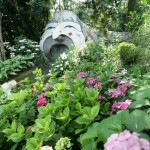 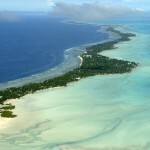 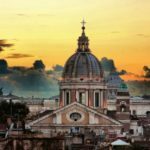 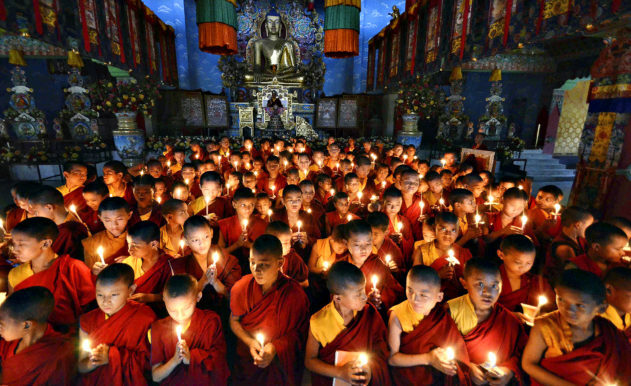 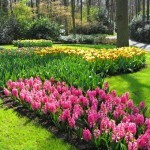 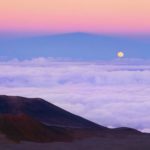 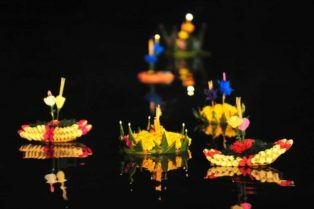 On the occasion of this festival all country, from north to south, celebrates, and depending on the area has also some variations. 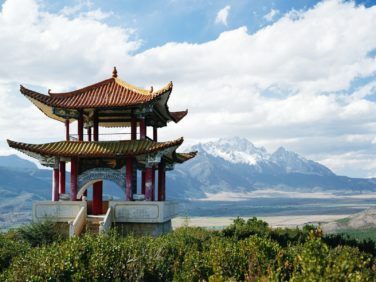 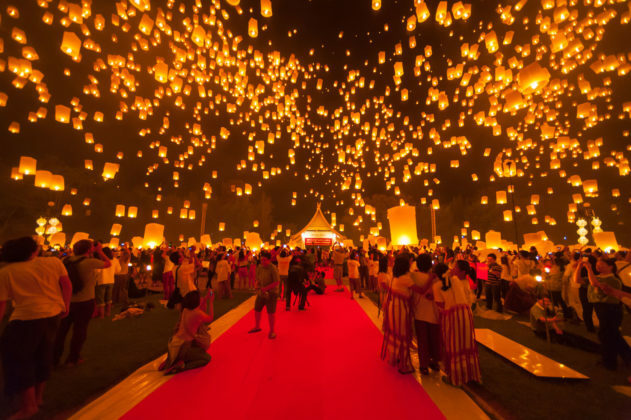 In fact, in the north it’s called Yi Peng and thousands of lanterns are left to rise into the sky after a prayer and after expressing a desire… lovers believe that if the lanterns fly away together… their love will last forever! 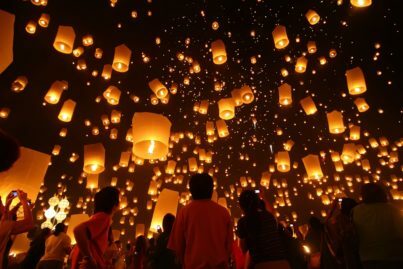 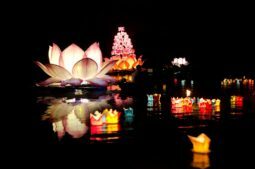 Yi Peng transforms the dark night…the sky is magically illuminated by lanterns…it becomes spectacular and beautiful but also romantic.. so lovers adore this moment.. 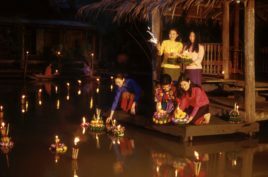 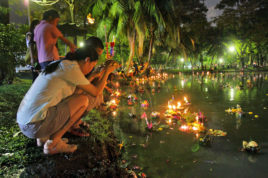 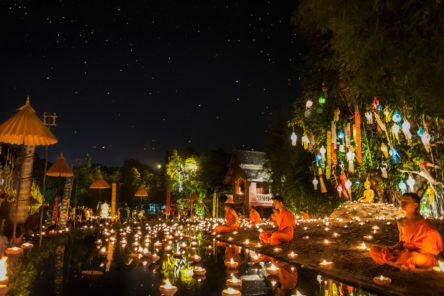 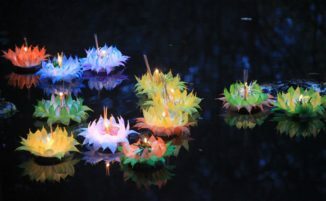 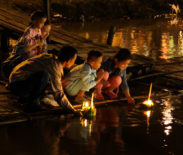 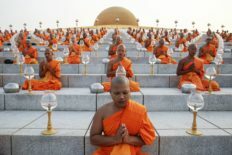 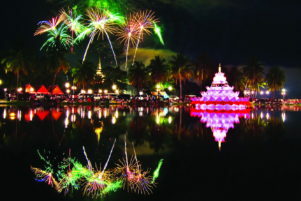 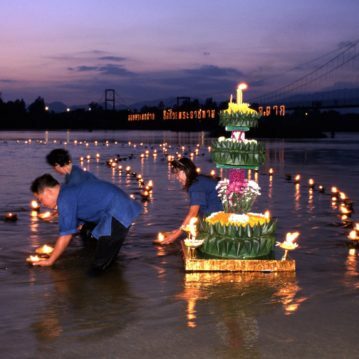 Throughout the rest of the country it’s commonly called Loi Krathong and people gather along the rivers or the lakes or on the beach, where a lot of floating baskets, precisely the “Loi Krathong”, decorated with flowers and small candles surrounded by incense sticks, are left on the water transforming the surface of the water in a kind of phantasmagoric starry sky.